Want to make easy money fast? Fill out our quick & easy referral form below, providing us with both you and your referral’s contact information so that we have it on file. Make sure your referral lets their Sales Consultant know they were referred to House Of Cars (either over the phone or in the dealership) when they begin the buying process, including both your name and theirs for verification. Receive a cheque for $500 upon the purchase of their vehicle! It’s that easy! 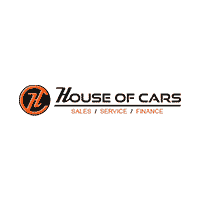 DISCLAIMER: Any and all individuals referred to House Of Cars Inc. must fill out a referral form, as well as state they were referred to House Of Cars Inc. prior to starting the buying process. Any individuals claiming a referral after the buying process are ineligible for cash bonus. All referrals via our ‘$500 Referral Program’ must be claimed & picked up within (14) calendar days of the sale of the vehicle. House Of Cars Inc. owns the right to refusal of referral money past (14) calendar days.